Acclaimed Chef Michael Mina breaks new ground with the debut of StripSteak by Michael Mina - Mandalay Bay - Las Vegas, his first steakhouse. With its classic menu, inviting bar scene and sophisticated atmosphere, StripSteak plays host to guests looking for the perfect filet in a modern alternative to the traditional steakhouse setting. 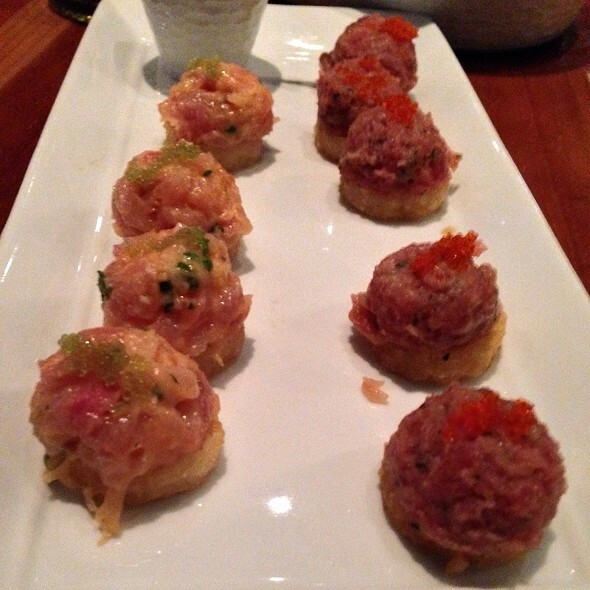 As with Mina's other restaurants, StripSteak uses only the highest quality ingredients - corn-fed, all-natural meat; line-caught seafood and fresh, seasonal produce. We saw our waiter three times during the evening, had indicated a birthday on our reservation and it wasn’t even mentioned. Waited for over 20 minutes to be asked about dessert and then another 5 to get our check after saying no. 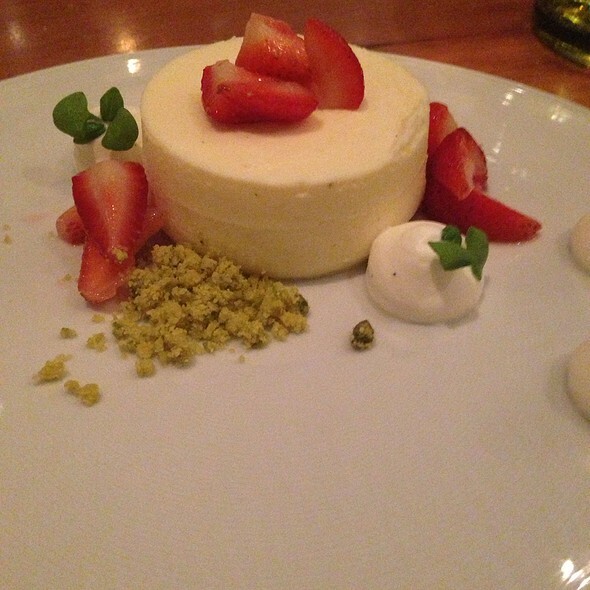 Excellent food, poor service for a $500 dinner. The filet and baked potato were amazing. Great experience and the food is amazing. Not a bad price if you go easy on the alcohol. I told our server I am allergic to gluten and wheat. Once our food was on the table and we started eating a food runner heard me ask what the tater tot was and proceeded to inform me that the side I ordered was full of gluten. Shame on our server for letting me order something I clearly couldn’t eat when I asked and informed him of my allergy. I almost took a bite of that side. Thank goodness for that runner! Service extremely slow, but they did comp us a bottle of wine. Food good but crazy expensive. I would liken the ambiance of this restaurant to maybe a Chili’s or Applebee’s. Definitely not fine dining service. The food was good but I really expected a different level of service and atmosphere when you charge $165 for an entree. We showed up early and were told they are on time. Had to check several times with the hostess and each time she said our table is being set. 30 minutes past the reservation time we sat. Took 20 minutes to get a drink order in, another 20 for our dinner order. Waited over an hour for our main course to be served even though we had been told on multiple occasions it’s “being plated”. The manager came over and apologized but did not offer anything for our troubles. Embarrassing having clients sitting waiting for drinks and food with total disregard from the staff to the situation. We have been eating at this restaurant for the past 6 years and have never experienced this. What makes it all worse is the manager could have cared less. I doubt we will ever return! 2nd time dining here, 2 years apart, and it is still the Best steak I’ve ever had. Period. I've been to StripSteak more times than I can count, it's a Vegas staple for us. But I'm never going back. Our server was condescending and rude and we saw her all of 3 times and spent 45 minutes trying to get a check and then get it picked up. I ordered the brick chicken (I know, it's a steak restaurant, but I couldn't have red meat) and it was full of tendons and the skin was chewy and limp. We wanted to order after dinner cocktails and dessert but after 30 minutes of trying to flag down our waitress we gave up and had to ask a manager for the check. All in all, terrible experience. It was once an amazing restaurant. Not anymore. Great Food, Great Service, Highly Recommended, would go again. The steaks were amazing. Definitely recommend the Japanese rib cap. Food was very good but pricey. Service was ok for what they charge. The food was excellent! The NY Strip steak was cooked perfectly to my taste and complimented by a peppercorn sauce. The serving size of the side dishes was plentiful and could have served two people. 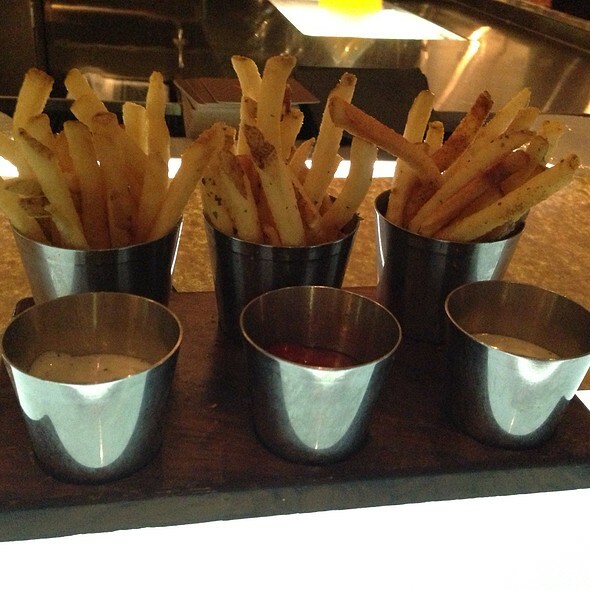 Very much enjoyed the duck-fat fries with three dipping sauces which were on the house! The creamed spinach and Brussels sprouts were the vegetables of choice and both were a pleasure to the pallate. Would definitely recommend. The servers were top-notch as well! Excellent service and food. 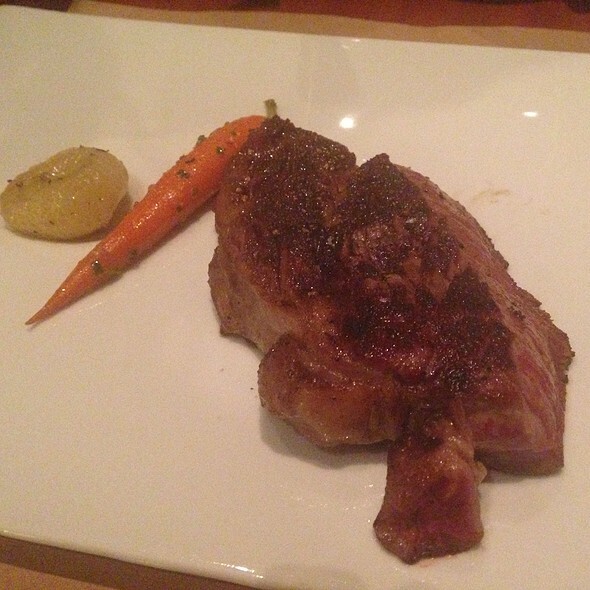 Bone in rib eye steak was wonderful. Food was outstanding and service was excellent. Sports bar feel in high end steakhouse seemed a bit off. Not cheap, but would go back. Absolutely phenomenal!!! Top 3 best meals I have EVER had! Food amazing, the service was absolutely perfect...If you are looking for the best steak ever it’s the place to go!!! Food was really good, chairs were uncomfortable. The food was not the quality I expected for the price. 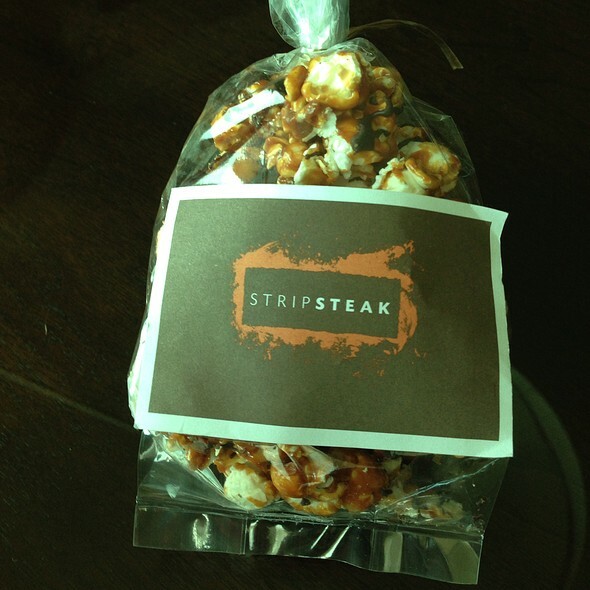 Always enjoy StripSteak! Food, wine list, service has always been great. Probably eaten dinner here 6-8 times, including twice in most recent visit. Sadly, not a good experience. Value was non existent, small portion even in Vegas. I am not a big eater but the portion of salmon was laughable for 38.00 without a side or salad . Out of alot of wine bottles, and the server was at best a buffet server. No personal connection, almost irritated we were even there. I won't be back. Spent 600.00 and at no point was it worth 60.00, I take that back the busser who kept the water glasses full ,she was a delight. Business dinner - all parties had steak. Filet and NY Strip. Both were excellent. 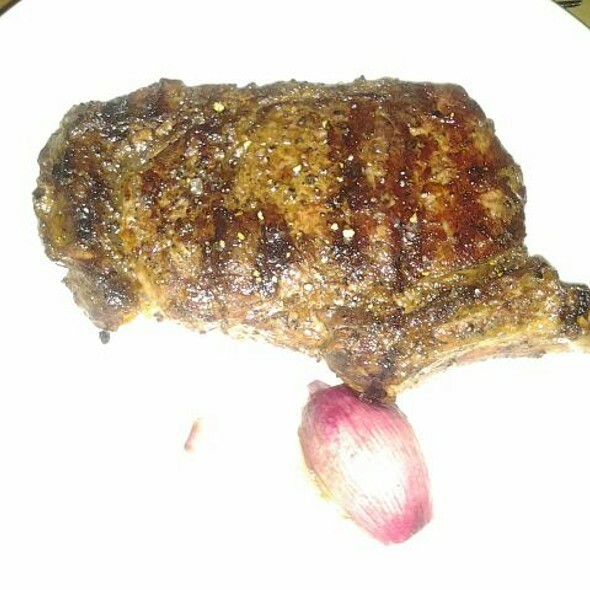 NY strip ordered black & blue - cooked to perfection and the filet was ordered rare plus - again was perfect temperature. Truffle Mac-N-Cheese was superb. The food, service, and ambiance were all perfect. We loved everything. Picked Strip Steak due to proximity to a show. Service was outstanding. Server was able to make recommendations for food and drinks. Waygu was delicious!! Pricey but actually more reasonable than other Vegas restaurants. Would definitely dine here again. Had the Australian Tomahawk and it was the top five best steaks I've ever had. While both the food and the service were very good, the value to cost was not. In a word, exorbitant. Excellent meal! Michelle took wonderful care of us from start to finish. The rib cap here is one of the best cuts period. 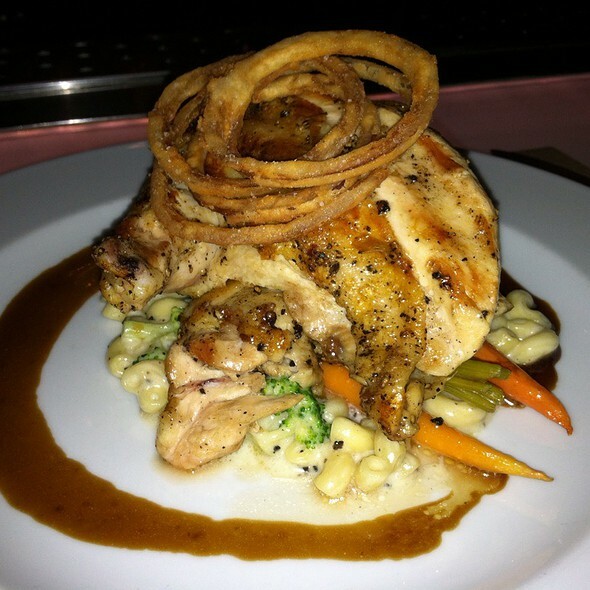 I have dined at StripSteak on a few occasions and have never been disappointed. Our server this past trip was outstanding! 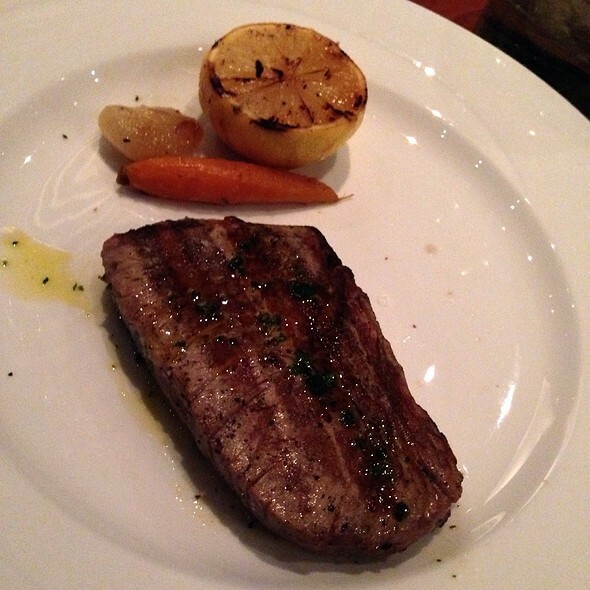 Steak was cooked properly but was relatively tasteless. I’ve had much better experiences at The Capitol Grill or Del Frisco’s. Service was very good. Server and assistants were very attentive. Atmosphere also was very nice. For the price if the meal I expected a much better steak. I was disappointed and hate to give a negative review. Steak and Brussels sprouts were unbelievable! Service was fantastic! This is a contemporary, pseudo-upscale restaurant. 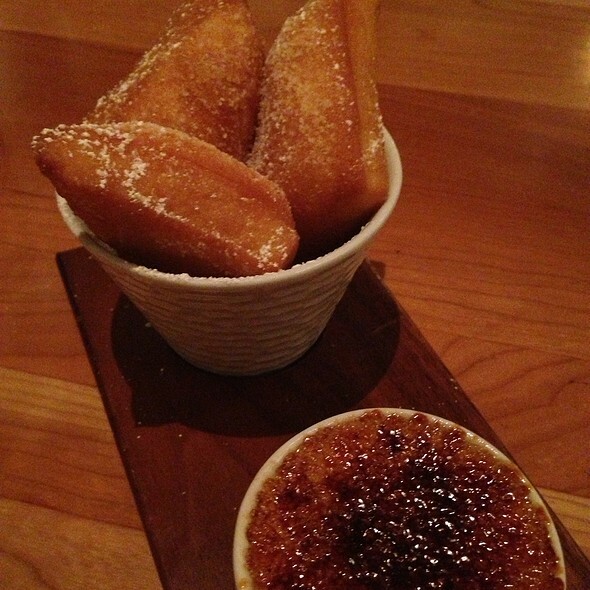 The service was great; food, delicious; and the atmosphere was reasonably ambient, considering its location in a casino. Typical prices for an upscale restaurant.